AVAILABLE AT CLINTON LOCATION -- AWD VEHICLE AT AN AFFORDABLE PRICE!!! 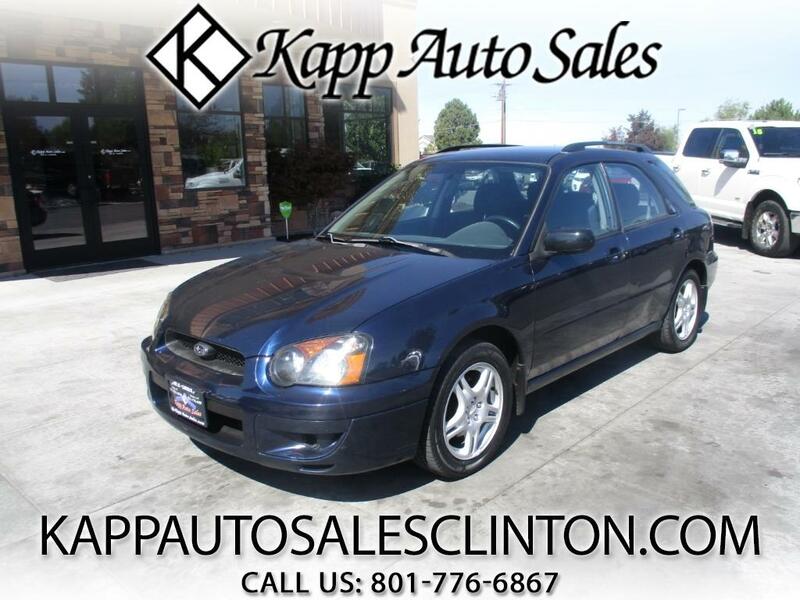 **FREE 3 MONTH/3,000 MILE WARRANTY AT LIST PRICE** CHECK OUT THIS 2005 SUBARU IMPREZA RS WAGON WITH ONLY 128K MILES!!! THIS CAR IS ONLY A 2 OWNER CAR WITH A CLEAN CARFAX AND IS PERFECT FOR WINTER DRIVING!!! THIS THINGS LOADED UP WITH PWR WINDOWS, LOCKS, MIRRORS, CRUISE CONTROL, CD, 5 SPEED MANUAL TRANSMISSION, ALLOY WHEELS, LUGGAGE RACK, AND MUCH MORE!!! Message: Thought you might be interested in this 2005 Subaru Impreza Wagon.